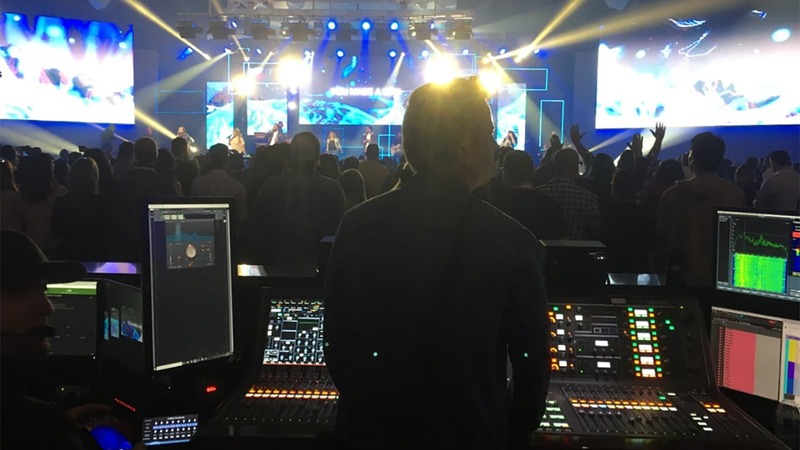 With weekly attendance exceeding 20,000, California’s Saddleback Church has recently chosen Waves plugins and the Waves MultiRack plugin host as a major addition to its live broadcast setup. Technical Director Aaron Ruse explains the benefits. 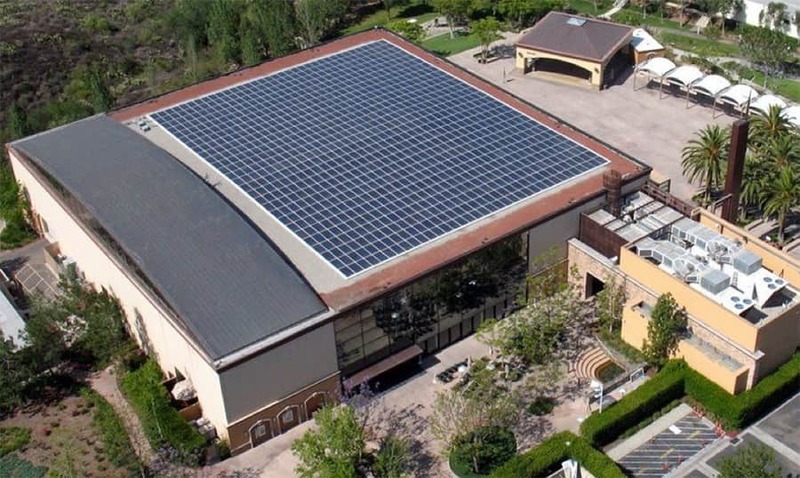 Saddleback Church is an evangelical Christian megachurch located in Lake Forest, California. Weekly attendance averages over 20,000, currently making Saddleback the fifth-largest church in the United States by attendance. We talked to Aaron Ruse, Technical Director of Saddleback’s Lake Forest Campus, to discuss his choice of Waves plugins, the MultiRack plugin host, and Waves SoundGrid technology to enhance the church’s live broadcast setup. “Saddleback Church has a pretty energetic sound,” Aaron says, “with a full 5-to-7-piece band supporting 6 to 8 singers on most weekends during our worship services. About once a month, we also include a 60-80-person choir. Weekly teaching comes from our head pastor Rick Warren and other staff or guest speakers. We also host several conferences through the year, as well as frequent live shows by touring artists. “To support our various needs for services and events we have 22 channels of wireless mics and 16 channels of stereo wireless IEM. Our main speaker system is an L-Acoustics system. Our main room setup at FOH is a Yamaha Rivage PM10 console interfacing with the Waves MultiRack SoundGrid plugin host. A second PM10 serves as our monitor desk. We also have a Yamaha CL5 using Waves MultiRack. Both MultiRack systems are running through SoundGrid Extreme servers to handle the plugin processing. “For broadcast, we now also use a Waves MultiRack together with SoundGrid Server One, plus a selection of Waves plugins that we are using as broadcast processors. Some of these are mastering-type plugin chains that make our feeds sound especially great. When did you first introduce Waves plugins into your setup? 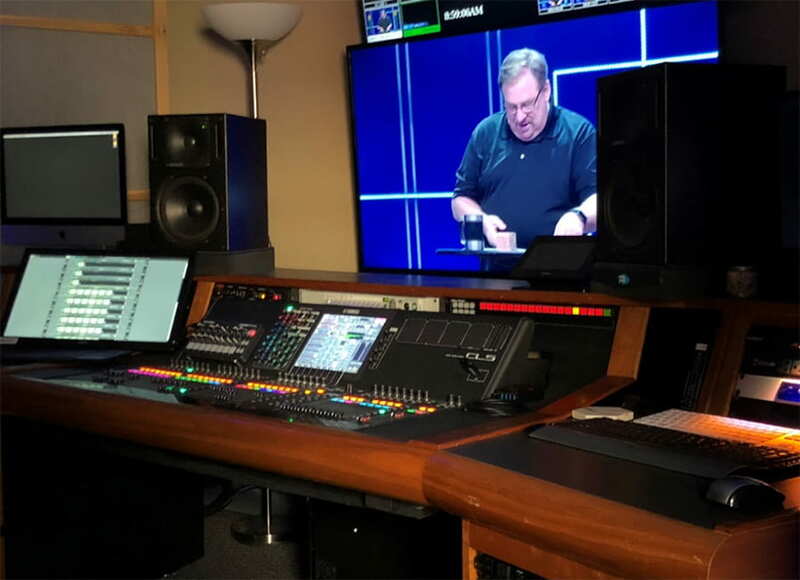 “Saddleback first invested in Waves years ago for our broadcast room, using the SSL E-Channel Strip plugin on our main processing chains for many tracks. Then, three years ago we invested in Waves Gold and CLA Classic Compressors bundles, as well as many other single plugins, for some of our Avid-based consoles across campus, including our main room FOH and monitor positions. We have now upgraded many of our consoles and moved to the Yamaha CL and Rivage platforms. We had so much success with Waves plugins in the past three years, that we went ahead and included Waves SoundGrid I/Os and SoundGrid servers and a large selection of Waves plugins at each new location. 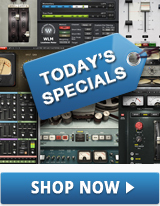 What are some of your go-to plugins for live sound and live broadcast? “Saddleback’s weekend services meet in a large open space with lots of windows and minimal acoustic treatment. This makes for a live environment that can get loud and harsh pretty quickly. Keeping vocal clarity while controlling overall volume in the space can be challenging. The C6 Multiband Compressor and now also the F6 Floating-Band Dynamic EQ plugins have been hugely helpful in shaping vocals and keeping them in a nice pocket that sits well in the mix without getting lost or out of control. We rely heavily on the CLA compressors and the F6 for vocal dynamics control as well. Waves’ Primary Source Expander (PSE) plugin has been a great tool to help keep some of the room ambiance out of our speaking mics, resulting in cleaner speech in the room as well as at broadcast. Waves Torque paired with the H-Comp Hybrid Compressor is our new favorite snare shaping chain. For our time-based effects, we’ve settled into a nice groove with H-Delay, Renaissance Reverb and H-Reverb. “When we do opt to use a dedicated broadcast mix, we’re currently using MultiRack SoundGrid together with our CL5 console to run a ton of the SSL E-Channel on drums and other instrument channels. The vocal chains in our broadcasts look similar to those at FOH, as described above, but we’ve started using the Scheps Omni Channel, Vocal Rider and Waves Tune Real-Time on them as well. “In addition, we have recently begun writing and recording original music and have assembled a small production studio with Pro Tools. We've included a bunch of Waves plugins in that space as well, so we can fully produce and mix our own stuff in-house. Thanks to Waves, we can transfer the same plugins and settings from the studio into the live environment. The transition from studio to live and back again has never been easier or smoother.